There was a time when the thought of this challenge struck fear into the hearts of crafters around the globe, but now it seems that the ONE LAYER CARD holds no fear for LIMettes far and wide. This challenge is just as the title implies...a one layer card with something or other in a row... take your pick, it could be anything, just use your imagination! 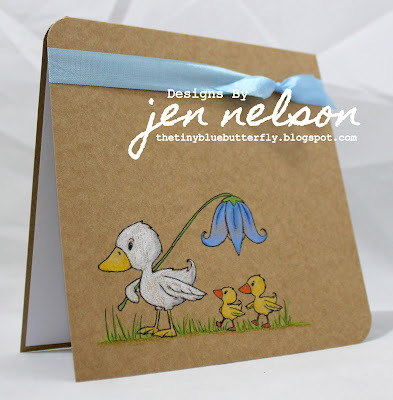 So I have a couple of cards for you today and when I first saw the theme I thought about the phrase "getting your ducks in a row" so that is what inspired my first card.. I simply printed the Pollycraft digi onto a kraft card base and then coloured in with my Prismas... It's finished off with some seam binding from The Ribbon Girl and I have rounded off opposite corners. My second card is using a paper smooches set that I got from My Mums Craft Shop. 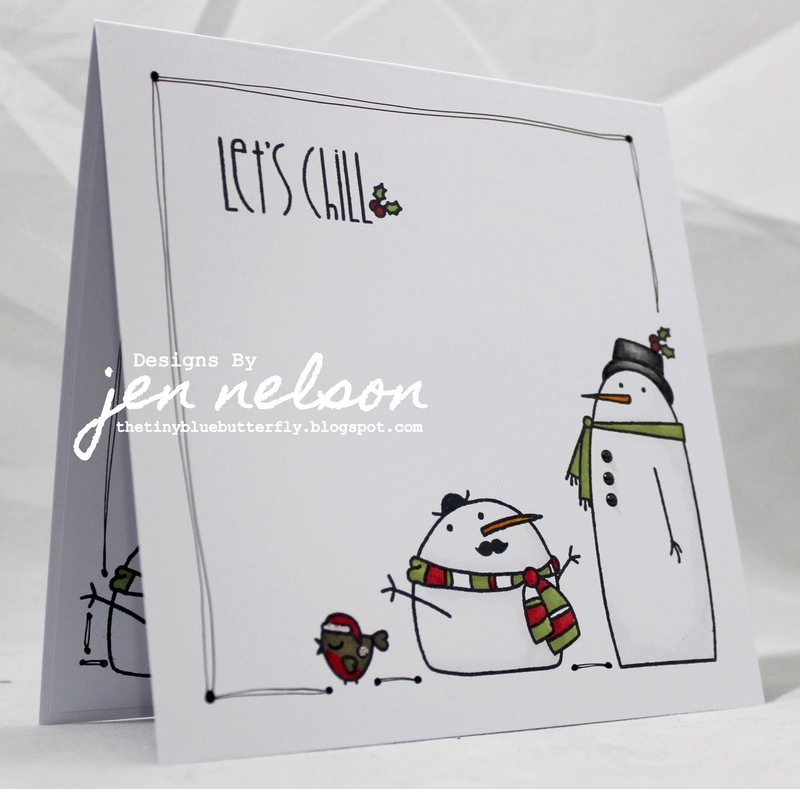 I lined up the snowmen and robin on a large stamp block and stamped straight onto the card. I then added a cheeky moustache from the extras in the set. It's been coloured in with Promarkers and a sentiment added from the same set. I finished it off with some doodling, a little Stickles on the robin and some liquid pearls for the snowman's buttons. This is a crafty Individuals stamp, stamped in Whisper White on kraft cardstock and then clear embossed, with the buildings coloured in neutral shades using watercolour pencils and a water brush. I couldn't decide on a sentiment... any suggestions? This is my old favourite layout, with an embossed band added for good measure! Three Hot off the Press snowflakes all in a row, with a few splodges from French Foliage added to accompany them. All heat embossed and then inked. The sentiment is from Penny Black but sadly I've forgotten where the Christmas tree border embossing folder is from. This week I have put up some new shelves in my craft room and assembled a new IKEA desk. I'll post a few pics on my personal blog, the shelves even ended up level! Do join us, this could be an excuse for a few more Christmas cards. I guess we all need to get our 'ducks in a row' in readiness for the Christmas festivities. Fab challenge .... how about "from our house to yours" - that way it could be a Christmas card or a welcome to your new home card! I love the crafty Individuals stamp => stunning houses. Great idea! Love this challenge! Phew, I DID get time to join in after all, but it was a close run thing. When did they start putting so few hours in the day?